It’s a good question right? My client today asked me about this. There are some bakers out there that use one or the other or both. 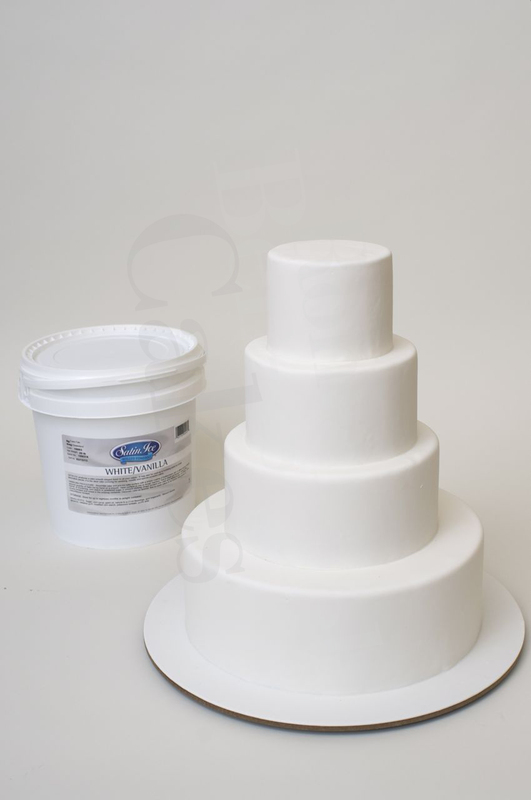 At RBI Cakes we choose to use fondant. Our fondant tastes delicious, like sweet vanilla or if you are a bit more daring for a color choice choose the chocolate that tastes like a Tootsie Roll. (Before the application of the fondant, the cakes are frosted with a Swiss meringue buttercream.) In order for us to achieve the kind of cakes that we do, with the intricate design work, we use fondant to give us a smooth perfect canvas. We roll ours out to 1/16thof inch. I am not allowed to tell you too many secrets, but I can tell you that we use Satin Ice fondant. Ron has used this for many years. It tastes great and is consistent to work with. 1. Smooth finish on the cake so we can create intricate sugar décor. 3. We deliver our cakes cold about 1.5 hours before the guests arrive to the event. Because the cake is delivered cold, it can stay out for a very long time and gradually get to room temperature. Later on in the evening when you are ready to cut into the cake, the buttercream will be the perfect consistency. Using fondant allows us to work on a clean and smooth canvas. Using fondant enables us to create intricate designs from being inspired by the lace on a brides dress. If were to do this on buttercream, it would not have the same effect. Thank you so much for this post, as I was having debates about refrigerating fondant – so off to Satin Ice ..
Sooo elegant, as always! I wish I had someone to bake, stack and cover my cakes so perfectly so I could just do the decorating piece. It takes a LOT of work to get that blank canvas so perfect. Kudos to the bakers and prep people, too! Thanks for this post! I used Satin Ice for my brother’s 7-tier wedding cake which had to be stored overnight in the refrigerator because of the filling and buttercream icing. It was fine and came to room temperature beautifully. It has confused me when I read not to refrigerate fondant so I am glad to hear it here! I use Satin Ice also although not as perfectly as my hero. 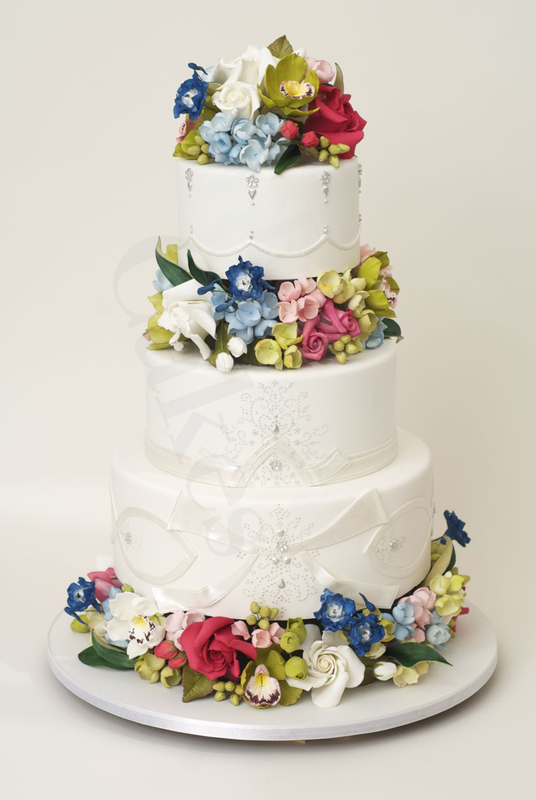 Thanks for all the help…However, where can I find the lace flower cutter on the cake on the left side. The cake with the pink flowers and the re embroidered lace flower on it. I have been looking for this cutter…..
← Our clients got married on Conan O’Brien!